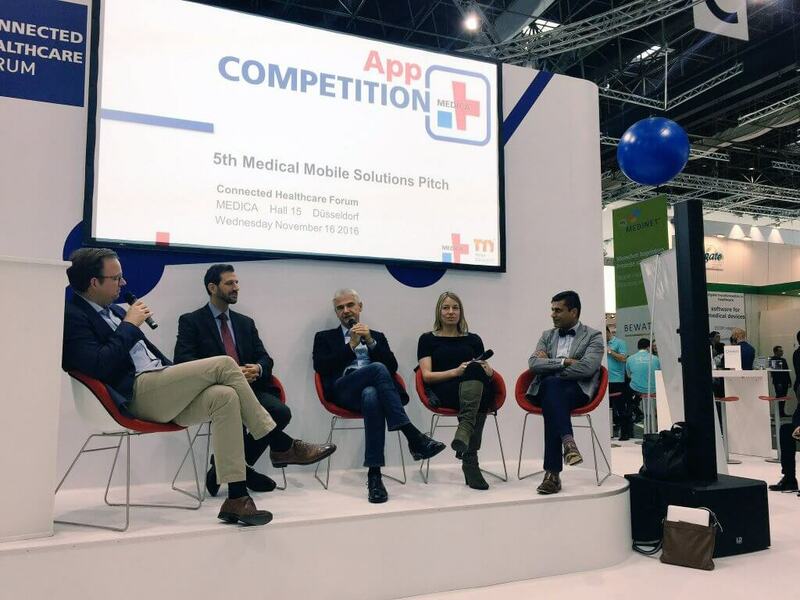 Are YOU Going To Shine At MEDICA APP COMPETITION? Written by Tjasa Zajc on September 17, 2017 . Posted in MEDICA, Weblog. The world’s leading trade fair for the medical industry, taking place in Düsseldorf between 13 – 16 November 2017, is approaching fast! Did you apply for MEDICA App Competition yet? More than 5,100 exhibitors and 127,000 visitors are coming to MEDICA. For digital health enthusiasts, Hall 15 will be the place to be. This is where the MEDICA App competition will take place, accompanied by keynotes and a debate from experts from around the globe. Check out the program below. And if you haven’t done so yet, apply for the MEDICA App competition. The deadline is September 30th! Future For Health in looking forward to your company!